In centrifugal fans the air is sucked horizontally and and blown out in radial direction. In the fan housing there is generated a pressure difference between intake and exhaust port. Fans are selected via the indication of air volume (m3/h or m3/s) and pressure (mbar, mmWS, Pa.). By using the indicated curves the appropriate centrifugal fan is defined, which is optimized for driving power (kW), efficiency (%), speed (min-1), sound (dBA) and size. 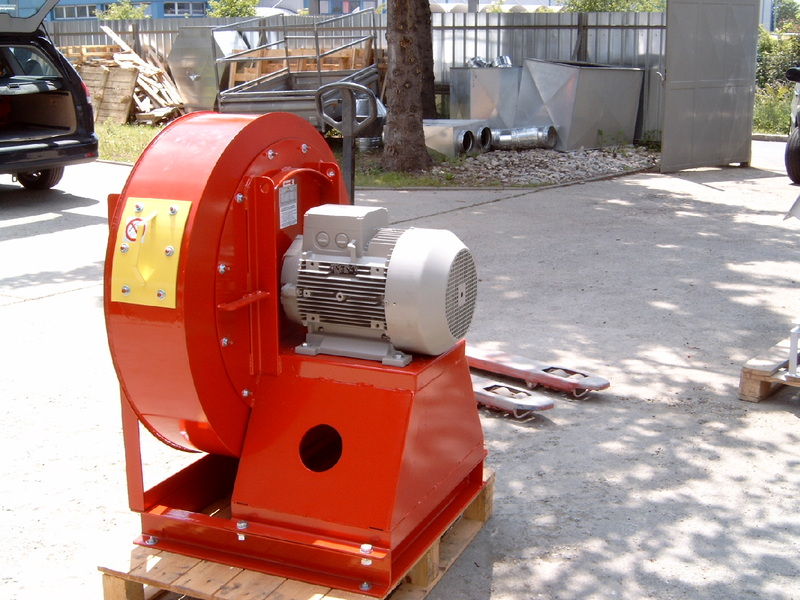 GTG Gebläsetechnik GmbH offers centrifugal fans for all current applications except for Subtag operation (“Mine fan”). While in the building services often still forward curved impellers (“Drum Runner”) are used, in industrial applications to get higher power ratings, the backward curved impeller is enforced. 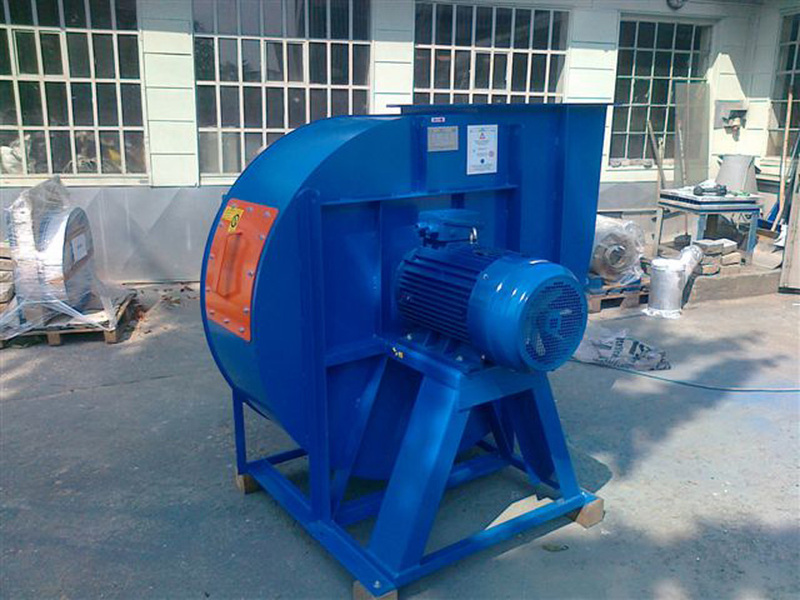 Materials used for centrifugal fans are depending on the application and requirements: steel, wear-resistant steel, stainless steel, heat resistant steel, galvanized steel and plastic materials are available. According to ATEX centrifugal fans for zones 1, 2, 21 and 22 are available. 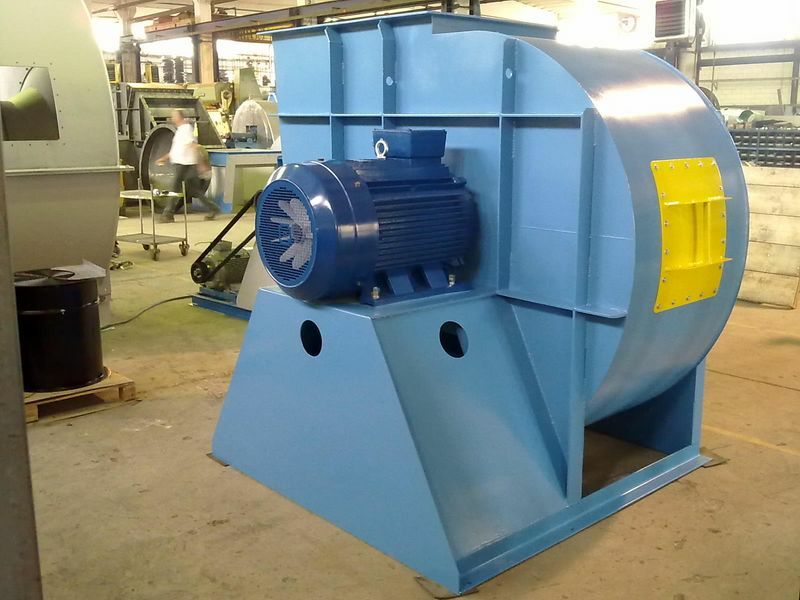 Centrifugal fans are either directly driven, that means, that the impeller is mounted directly on the motor shaft, or driven via coupling or via belt. Small centrifugal fans at medium temperatures lower than 150 ° C are generally driven directly. This has several advantages: more compact construction, lower cost, reduced maintenance requirements, low power losses. The biggest disadvantage of direct driven centrifugal fans is that the fan speed is always equal to the engine speed. A change of control and operational data is therefore only possible if the centrifugal fan is used togehter with frequency inverter. Great performance data always needs coupling or belt drive. While the impeller is mounted overhung on a drive shaft, which is clamped by two bearings. 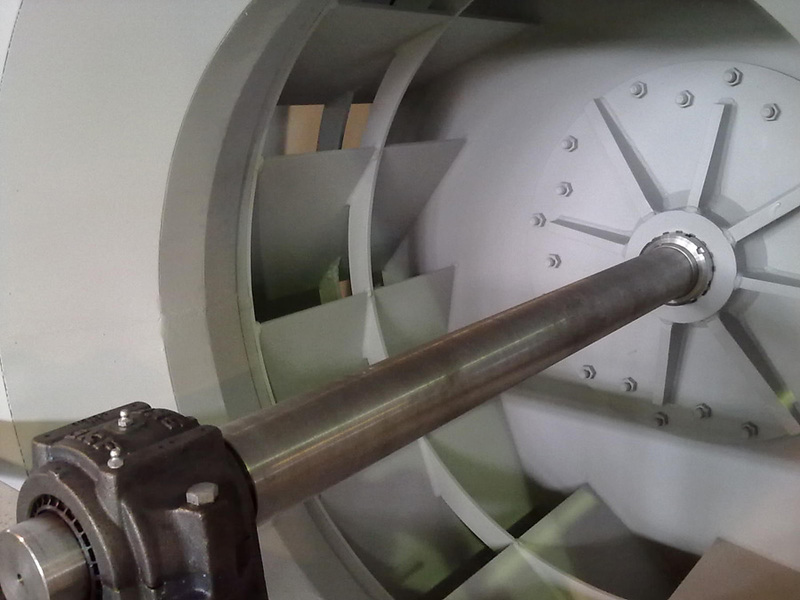 Centrifugal fans with coupling build more longer in axial direction, which can occasionally be problematic in handling and installation. Well targeted, the centifugal fan driven by coupling needs less maintenance and causes fewer losses than the centrifugal fan driven by belts. The biggest advantage of fans with V-belt drive is that the performance can be changed later on by increasing or decreasing fans speed.